Meets Military VO Test Regimen for High Velocity Impact Protection. 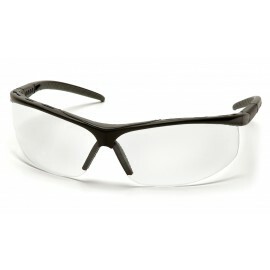 Includes Interchangeable Clear, Gray and Amber Anti-Fog Replacement Lenses. Sport Grip Temples with soft temple tips. Includes additional Pair of Secure Grip Temple tips. Black carrying case and cleaning cloth included.